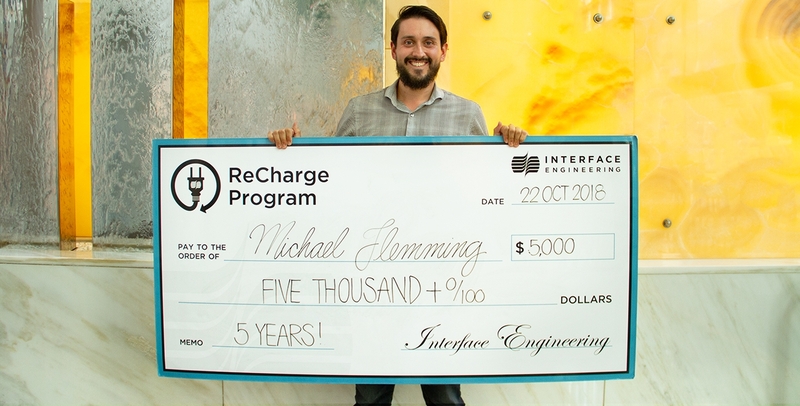 Congratulations to Associate and Commissioning Agent, Michael Flemming, for working at Interface Engineering for 5 years! Principal Rick Russell had a little inside joke in honor of Mike: “Congratulations Mike! If you go to Canada to take your renew time off, then I hope I don’t get another urgent call from you at the border! We thank you for the hard work and determination!